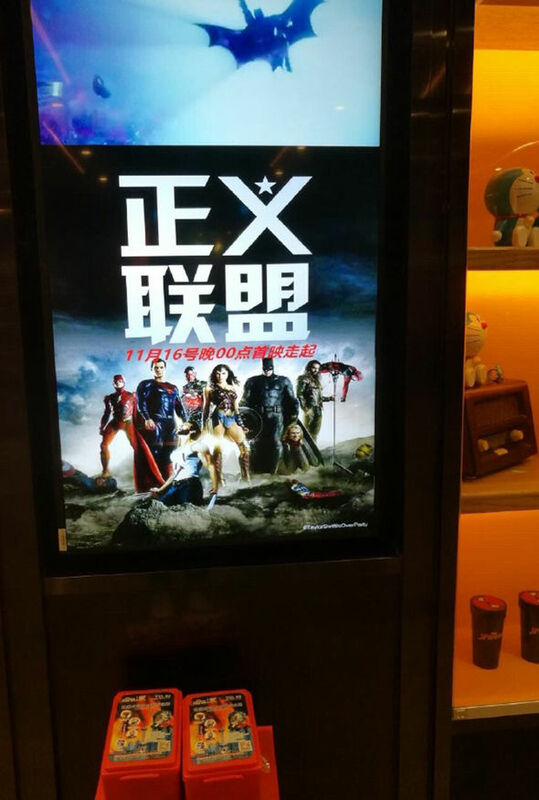 UPDATE: Yep, that's an actual Justice League Poster being displayed in Chinese movie theaters. It was created by a fan (not by Warner Bros.) but has nonetheless made its way into theatrical displays (see HERE). 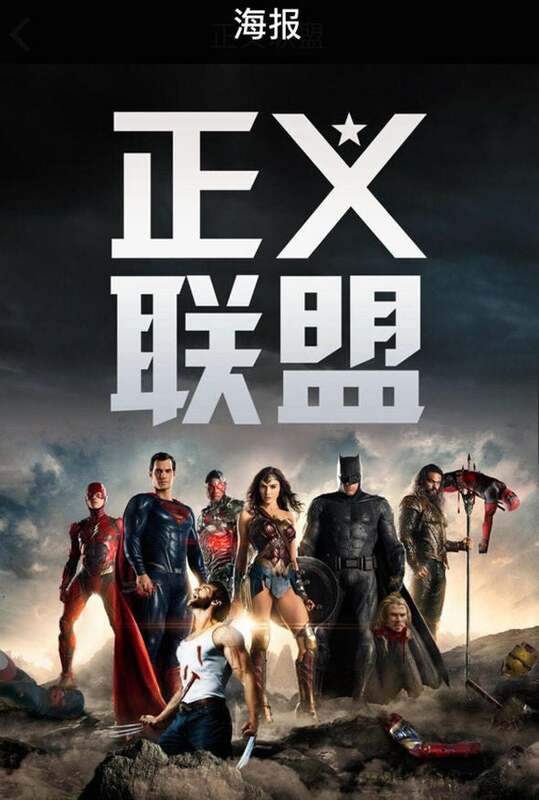 The poster takes the standard one-sheet photo of the DC superhero team and adds in the grisly photoshop details of the the Justice League heroes having murdered and/or dismembered several key figures from Fox's X-Men movie franchise, as well as members of Marvel's Avengers. It appeared in several Chinese theaters and on video hosting site iQiyi as the ticketing app for Wanda Cinema, China's biggest theatrical chain. If Wolverine and Deadpool being impaled on Wonder Woman and Aquaman's weapons (respectively) don't do it for you, maybe seeing Iron Man's dismembered limbs or Thor's head in Batman's hand will get your pulse going? Not to be left out, Superman's hand is still slathered in the photoshopped blood of the franchise heroes he's murdered. Since being spotted by fans, these Justice League murder posters have reportedly started being pulled down. Warner Bros. and DC Films have not yet issued a statement on the matter.